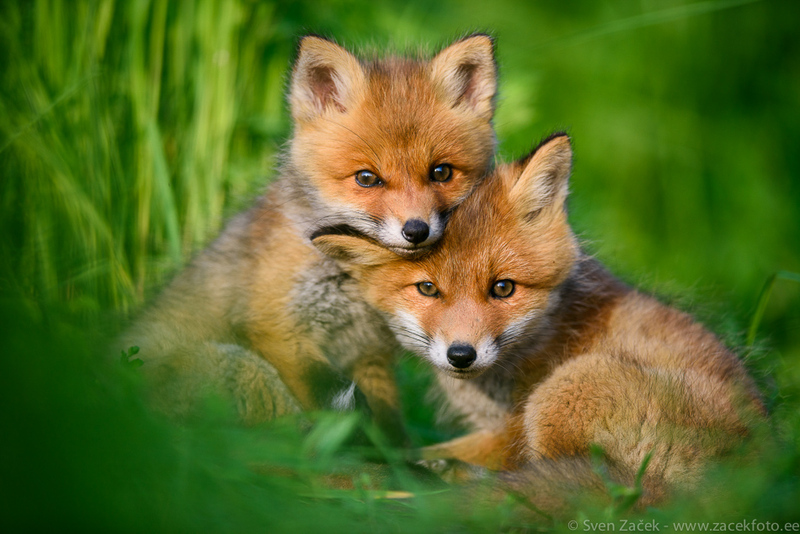 Young curious foxes relaxing on a summer evening. It was a privlege to get to know these guys and I have to say that the three cubs from this den were the smartest and most shy I have ever met. It was not like I could walk up to them and they would meet me half way. As soon as I approached they disappeared to the den and were there for about an hour. I had to approach slowly while crawling. Then I had to lie down hidden behind my camera and tripod. I know that animals are like people, they all have different personalities. I wish these guys all the best. It seems to me they have made a head start compared to other young foxes I have seen. Photo info - Nikon D810 + Nikkor 400mm F2,8 VR FL. F2,8, 1/1600, ISO 400.: Tripod.